I've a spotty beauty for you today. 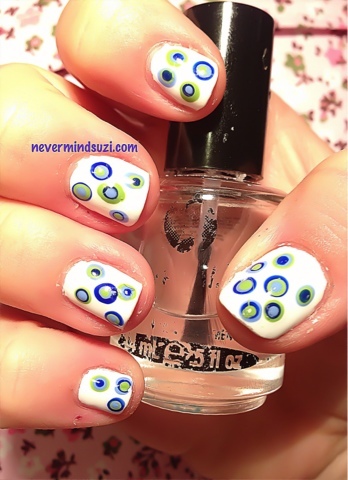 I've done dots within dots here on a white base using Sinful Colors - Snow Me White. Cute combo of colors. Dots are always a great mani. Why does this make me think of owls though? I keep looking at it and owls come to mind.